Looking for a all-in-one solution? Check Here! With the AlarmDecoder AD2PI you will be able to control your Ademco / Honeywell Vista alarm system from your Raspberry Pi. 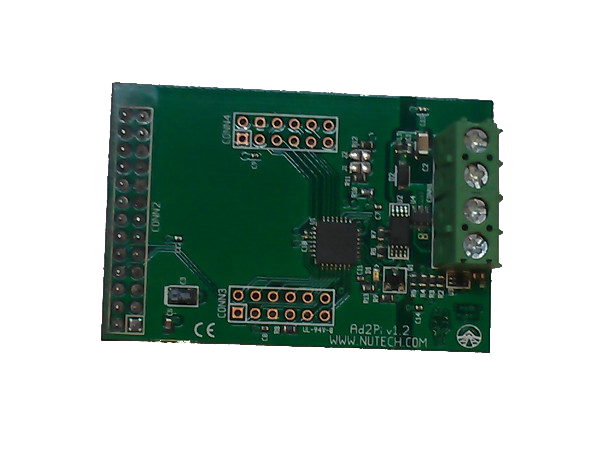 The AD2PI connects directly to your Raspberry Pi using it's built-in GPIO header. Don't have one or want to use it with another embedded system? No problem! Simply supply power and connect your device to the TTL Serial pins. Attaches to the Raspberry Pi GPIO header. Linux compatible - Get the official AlarmDecoder Raspbian image here. BeagleBone Black is also supported, see the Instructions Here. * Raspberry Pi not included. * Suggested Addon: LRF - Place LRF between AD2Pi and any conductive surface (HDMI Port on Raspberry Pi) to insulate.